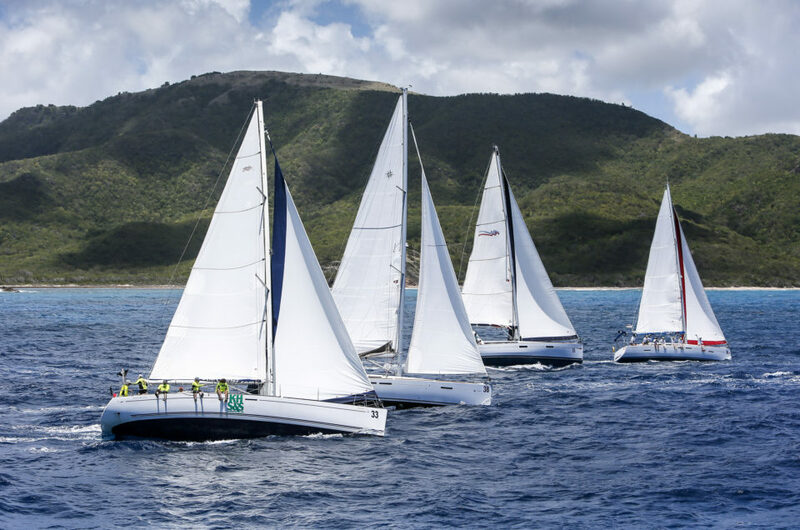 The	Antigua Sailing Week Committee invites you to compete in the	52nd Antigua Sailing	Week April 27-May 3, 2019. The Organising Authority is the Antigua Sailing Week Committee affiliated with the Antigua and Barbuda Sailing Association. The Regatta Headquarters will be located at	Antigua Yacht Club, Falmouth Harbour, Antigua. Newport Shipyard is proud to sponsor this year’s Racing Rules of Sailing Seminar which will be held at Antigua Yacht Club on Friday, April 26, from 3-5pm. Please register here. Antigua Sailing Week started in 1968 when a group of friends got together to hold a regatta. A number of the friends were hoteliers and part of their objective in creating the regatta was to extend the winter season by getting people to stay in Antigua a little longer – or to come specifically to participate in the event which would in turn extend the end of the current season. So in 1968 the Antigua Hotel Association sponsored the very first Antigua Sailing Week which was held from the 8th through the 15th of June with participating boats from the United States, Canada and the Caribbean. Invitations were extended far and wide via travel agents, inviting everyone to come to the ‘Island for All Seasons’ – Antigua. Festivities included a three-day ‘Lord Nelson Regatta’ with sailing yachts of up to 135-feet in length, power boat races, deep sea fishing and Sunfish sailing contests. There was also a two-day race among Antigua’s workboat fishermen whose boats had been freshly painted in bold Caribbean colours specifically for the event. The Antiguan Government and Antigua Sailing Week Committee went to great lengths to welcome visitors and ensure they had a good time. For those not on the water but looking for a way to be part of the action, there were beach and verandah parties from which the events could be observed; alternatively a small fee could be paid for a spot to race on a participating boat. On Saturday, June 8, 1968 everyone was invited to watch the finish of the Guadeloupe to English Harbour Race for boats coming from the southern Caribbean islands to participate in Antigua Sailing Week. That was the first of many parties and balls to be held throughout the week with the final awards party taking place in Nelson’s Dockyard with a Lord Nelson Costume Ball held on Saturday, June 15, 1968. The inaugural Antigua Sailing Week was such a huge success that it was repeated the following year with dates being moved up a week to May 31 through June 7, 1969. And so it went over the following 47 years, with new sponsors coming on board and the program of events growing and evolving. The dates eventually changed and it became tradition for Antigua Sailing Week to officially begin on the last Sunday in April every year. Eventually the hotels became less involved, the workboat races disappeared and dinghy racing events are now held separately.